what I like even more is that fact that I can make them and have them in my home and not have to worry about bugs, water and welted petals! Since I made these for work, I just kept going! Single Gerber for friend who wasn't well! 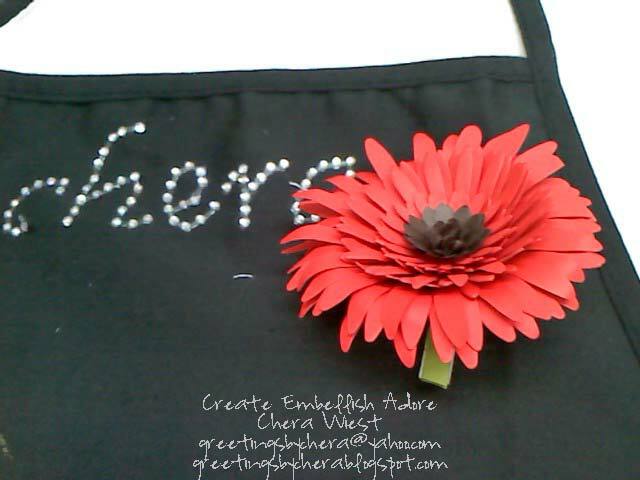 Then I thought - why not a corsage? ﻿﻿ And honestly I really LOVE IT! Trying my hand at a pin! And honestly they are lighter then a real one - so it may not pull on your label like the others... but its lovely! It was wonderful to join in at the Stampin Celebration this week... after all - look at those colors... I think I may have to make a few more flowers! ﻿ Thank you for stopping by! Oh, I love the one you put on your apron, how cool is that?? Love the gerbers. GReat gift ideas. 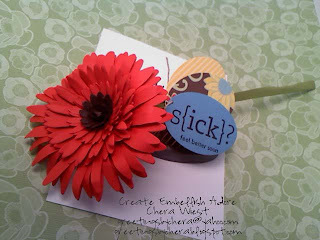 So glad you played with Stampin' Celebration. 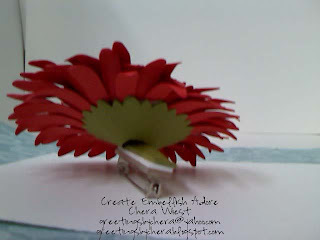 Very cute ideas - fun to see your passion for daisies!